Novelty holiday t-shirts are a popular wardrobe choice for St. Patrick's Day and the days that precede the festivities. Comfortable and casual novelty tops are perfect for bar hopping, party festivities, and parade watching. Here are the best sellers from this site in 2017. This t-shirt has a fun over-the-top design featuring adorable kittens chasing and dreaming about shamrocks. This epic St. Patrick's Day t-shirt was our overall best-selling item of all 2017. Looks like people couldn't get enough of kittens and St. Patrick's Day last year. This is our second best-selling shirt -- it shows a kitten dressed up as a leprechaun riding a kitten dressed up as a unicorn. 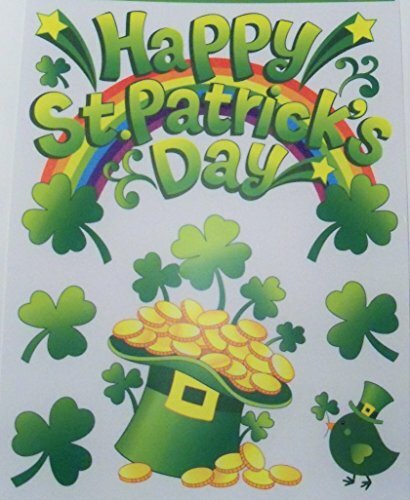 There is also a rainbow, the moon, shamrocks, and golden coins. This is a simple and elegant shirt, a comfortable cotton blend with a distressed shamrock design at the hip. It's a women's cut with a V neck. Here's another stylish women's cut shirt. This is a black v-neck in a cotton/poly blend with an oversized novelty print. This novelty shirt has an image of Trump toasting with a large green beer and the caption "Make St. Patrick's Day Great Again." This is a fun off-the-shoulder oversized sweatshirt. The black top is designed to be worn off the shoulder or loose around both if preferred. 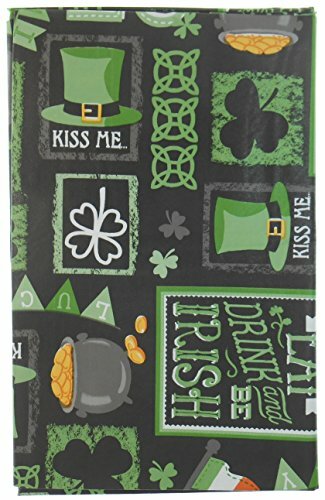 The design is a large print of the word IRISH along with hearts and a shamrock. Rounding out our top-selling list of St. Patrick's Day t-shirts is this white and green raglan with a distressed print of an oversized shamrock.